Something Wrong at School? - Family Times is an award-winning magazine with staff-written news, feature stories and artwork that inform and inspire Central New York parents and their children. As the reading aloud portion of instruction begins, David squirms in his seat and talks to his neighbor. When the teacher asks him to read from the assignment, he calls the teacher a name and gets sent to the principal’s office. School is the No. 1 activity of children. When a child begins to experience behavioral or academic problems at school (many times they go hand in hand) it quickly becomes a concern for parents. In our practice, we see many children having all kinds of school difficulties. As we begin to evaluate and understand the possible causes of a child’s difficulty, we operate under several basic assumptions. First, children want to do well. They want to be successful and feel competent. Second, children are born with natural curiosity and an intrinsic desire to learn. Anyone observing a toddler can see how he or she is constantly exploring the world—tasting, touching, listening, imitating, and pushing to master new skills. Third, we do not believe in “lazy” but rather see a discouraged child or a student who cannot predict a positive outcome to a learning situation. As in our initial example, David would much rather be labeled as having a behavior problem than be humiliated because of his poor reading skills. Part of our evaluation is to try and figure out what is causing a child’s difficulty. Parents are a child’s first and best teachers. It is a parent who is often the first to notice something does not feel or seem right when it comes to a child’s learning. We operate under the assumption that no one knows a child better than a parent. Parents might not be able to name that problem, but if they feel there is a problem, they are probably right. If your child is experiencing difficulties in school, an important first step is to gather information. Early intervention is important, so don’t hesitate if you suspect a problem. Talk with your child. Try to understand what he is going through. This would include likes, dislikes, frustrations and your observations of your child in certain situations like doing homework or struggling with a particular subject area. Talk to the teachers. Teachers can offer valuable information. They spend a lot of time with your child, and experienced teachers have developed “internalized norms” of what are or are not problematic behaviors. Meet with the teacher to discuss concerns and review records and test results. The common goal is to look for the underlying cause of the difficulty. Rule out any physical factors that might be contributing to a child’s difficulties. You may need to schedule a visit with your child’s primary care provider. Seek to schedule a psycho-educational evaluation. This may be the next step in trying to determine the cause of a child’s learning difficulty. A series of tests (paper and pencil) both psychological and educational are included. The school psychologist administers the tests and works with your child’s teachers and other school professionals. This school team approach includes a review of school records and typically classroom observations. It may also include a speech and language evaluation, and a physical therapy or occupational therapy evaluation. The schools must provide this at no cost to you. A parent, however, must make a request for a psycho-educational evaluation in writing to the special education director in the child’s school district. It is important to understand that special education services are intended for students who need specialized instruction and intervention in order to receive an appropriate education. So if your child is already achieving a level comparable to his or her peers, the school may determine a formal special education evaluation is not appropriate. The psycho-educational evaluation will provide a description of your child’s learning strengths and weaknesses. It can also identify and diagnose specific learning problems. The result of this evaluation is what the school uses to determine if your child is eligible for special education or related services. The parents have a right to be part of the evaluation team that decides what information is needed to determine eligibility for services. If you feel this testing does not provide adequate documentation, you can request an independent education evaluation, typically done by a child and adolescent clinical psychologist. There is a process you must follow with specific requirements to have the school pay the cost, or you can pay privately. 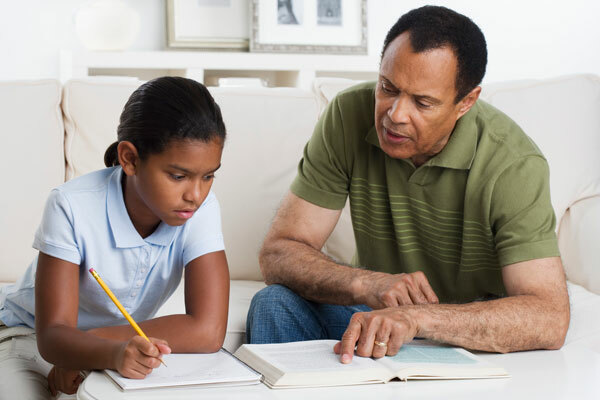 New York state has a set of laws regarding appropriate and formal recommendations; these include specific educational accommodations the school will provide to help your child become successful in school. There are also laws and conditions your child’s learning difficulties must meet to be considered for these services. Sometimes students with a disability such as attention deficit disorder (ADD) or attention deficit hyperactivity disorder (ADHD) require modifications in their instructional program but do not require, or are not eligible for, special education supports. Such students may be eligible for modifications such as untimed tests, quiet workspaces, etc., under Section 504 of the Rehabilitation Act of 1973. Each school system is required to have procedures for evaluating students for Section 504 accommodations and modifications. As in the case of determining special education needs, a team approach involving parents, teachers and support personnel should be followed in developing plans for students with ADD/ADHD. It is also not uncommon for children with ADD/ADHD to have associated learning difficulties that may meet the criteria for special educational services. For most parents this process is both confusing and intimidating. However there are many resources to help you navigate the system in trying to meet your child’s educational needs. At www.nysed.gov you can find all of the state’s laws and regulations, as well as a parent’s guide, “Special Education in NYS for Children ages 3-21.” Advocates for Children of New York (www.advocatesforchildren.org) also has a parent’s guide. The National Center for Learning Disabilities (www.ncld.org) is another resource. Exceptional Family Resources, located in Syracuse, can be reached at 478-1462, or visit www.contactefr.org. A parent becomes a child’s best educational advocate. It’s an ongoing process, spanning many years. Understanding the procedures, laws and regulations will assist you to ensure your child has the chance to be successful at school.